I'm Dimitris, a musician and music tutor with a BMus (Hons) in Music Performance and Production from London Centre of Contemporary Music, certificate of Estill Figure Proficiency of Estill Voice Training and many years of experience and knowledge from private tuition, conservatoires, choirs, bands and the music industry. I love to share those with my students and show them the way to achieve their goals while having a good time! From just having fun, to exam and audition preparation, all levels and ages are welcome! I have started working as a music tutor in 2014 when I realised that I can help people improve musically. I find this very rewarding! My students are both adults and children and I teach them singing, guitar, performance and music theory, or a combination of these subjects, depending on their goals. I am a friendly person and I try to make my students feel comfortable. I believe however that each student needs a different approach in order to advance. A balance between being a friend and a teacher is usually the best choice. If you (or your child) want to improve your singing technique, experiment with vocal styles, prepare for an audition, be a better performer, learn about music theory, learn how to play the guitar, need advice about how to navigate the music industry, or just want to have some fun, lessons will be tailored to meet the student's needs. Reply from: Dimitris: Thank you for your kind words Karen, it’s a pleasure working with Gabriel! DimitrisFrom Sophie (5/5): Excellent vocal coach! DimitrisFrom Wendy (5/5): Dimitris was quick to respond to my message and was able to give my son his first lesson in singing very promptly. We have only had two lessons with Dimitris but so far my son is enjoying his lessons and looks forward to the next lesson. DimitrisFrom Joshua (5/5): Dimitris is a great teacher. He is patient, friendly, and adapts his teaching methods to suit your needs. I joined as a beginner singer and made significant progress in the first few weeks I had with him. DimitrisFrom Jillian (5/5): Lovely gentle style of teaching. An expert in his field and makes you feel good about your self even a beginner like me. Reply from: Dimitris: Thank you Jillian! DimitrisFrom Leah (5/5): Very professional /Children love their lessons -they have been active with instruments between lessons as their interest has been ignited. Very pleased with their progress - all down to a fab teacher. DimitrisFrom Chloe (5/5): Great teacher. Extremely patient as well! His lessons are always very interesting and his knowledge is impressive! 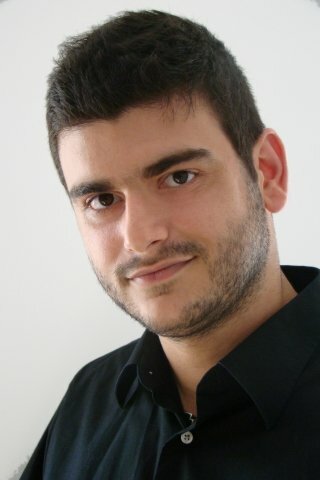 DimitrisFrom Janie (5/5): Dimitris is an excellent tutor. He connects well with his students, is kind, talented and committed and he makes the lessons enjoyable and interesting. Reply from: Dimitris: Thank you very much for your kind words Janie, looking forward to working with Sky! DimitrisFrom Csilla (5/5): I have singing lessons with Dimitris. He is very kind and has a very positive atmosphere around. He is amazing, takes care of every detail and he has a lot to offer. I found out that singing lessons can be sometimes really tiring but I have never thought they can be as much fun as this. I feel very comfortable with him, and I enjoy the classes a lot. I could not have chosen any better tutor than him. Reply from: Dimitris: Thank you for your kind feedback Csilla, really appreciate it! DimitrisFrom Martin (5/5): Dimitris is a great tutor! It's been only 3 weeks, but I feel like I have already made substantial progress. At least, I am way more aware of my voice, and the way it works. Dimitris' advice and exercices are really useful. And he is very nice and always listening, adapting to his students. Reply from: Dimitris: Thanks Martin, it's a pleasure working with you! DimitrisFrom Scott (5/5): Hi Dimitris, what can I say apart from that your a really excellent tutor, I've had 3 lessons and already I can feel improvement using your advice and techniques you are teaching me. So enjoyable and will be looking forward to doing more with you. Reply from: Dimitris: Thank you for your kind words Scott! I'm looking forward to keep working with you too!